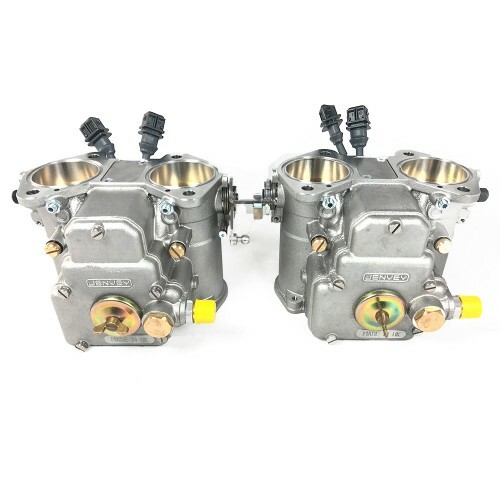 More than just a throttle body these Jenvey Heritage bodies contain a 350cc/min injector and a throttle potentiometer hidden inside the “float chamber”. Flange fitting is exactly the same as the Weber DCOE carb that these bodies replace so they bolt on to any Weber type inlet manifold. Heritage bodies are available in sizes 40/45/48 mm but please note that these sizes do not directly relate to the DCOE carb. 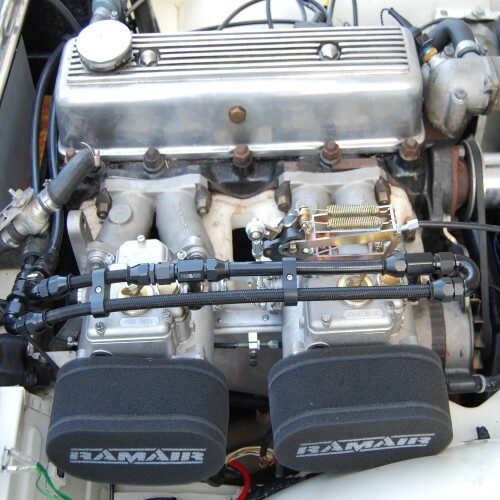 For example with a 48mm DCOE Weber the common choke size is 42mm so a 48mm Heritage body will flow considerably more air than the carburettor equivalent. Emerald can advise on body size if you are unsure of your requirements. This is a pair of twin throttle body set up to suit 4 cylinder engines. 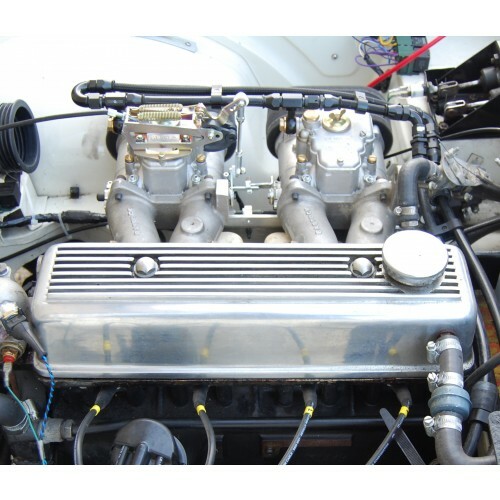 Linkage kit CLS3 for Heritage Throttle bodies available from our "Linkage Kits" listing. Air Horns for Heritage Throttle bodies available from our "Heritage Air Horns" listing. Please note that this product is supplied to order and may take longer to ship.